The Inca Trail is South America’s most famous trek and needs no introduction. It’s hiked by thousands every year on account of its breath-taking scenery and perfectly preserved ancient Inca ruins. The only aspect more impressive than the misty sunset vistas are the superhuman qualities of the Inca Trail porters. Not only do they run (yes run!) 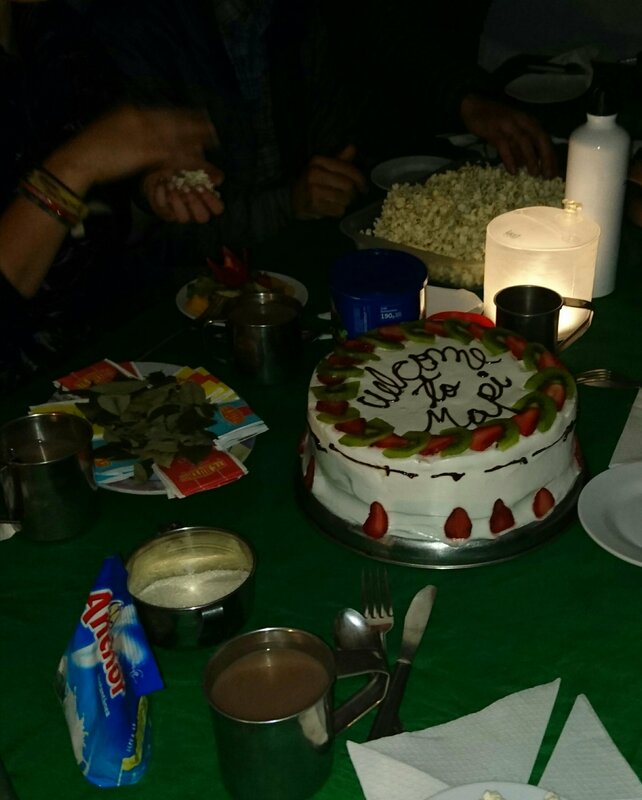 up the steep trails carrying huge tents, kitchen equipment and food on their backs, but they also manage to cook up restaurant quality, 3 course meals on the side of a mountain every night – including a multi-layered birthday cake! How??? The porters’ warmth and positivity every time we dragged our aching limbs into camp was a huge part of our Inca Trail experience. These people are superhuman in more ways than one. 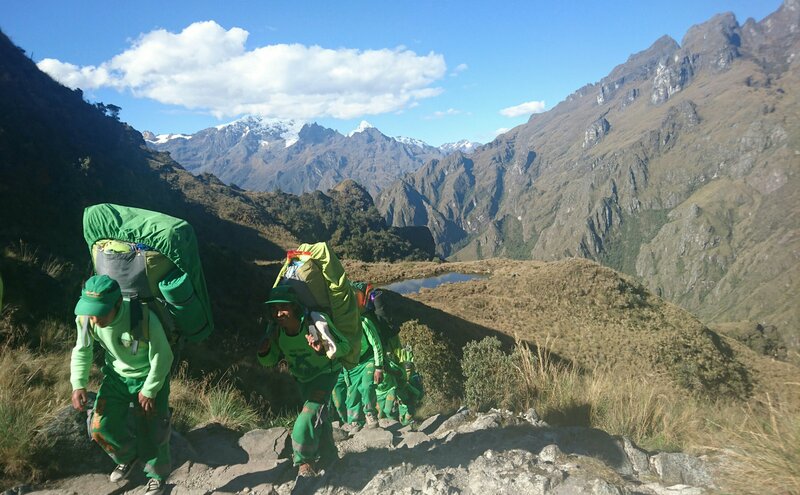 Hiking the Inca Trail is not cheap and with huge variation in the quality of tours on offer, choosing the right company is big decision. When you’re 4000 metres above sea level in the midst of the Andes, miles from civilisation, you definitely don’t want food poisoning or a leaky tent! We chose Alpaca Expeditions after a lot of research. 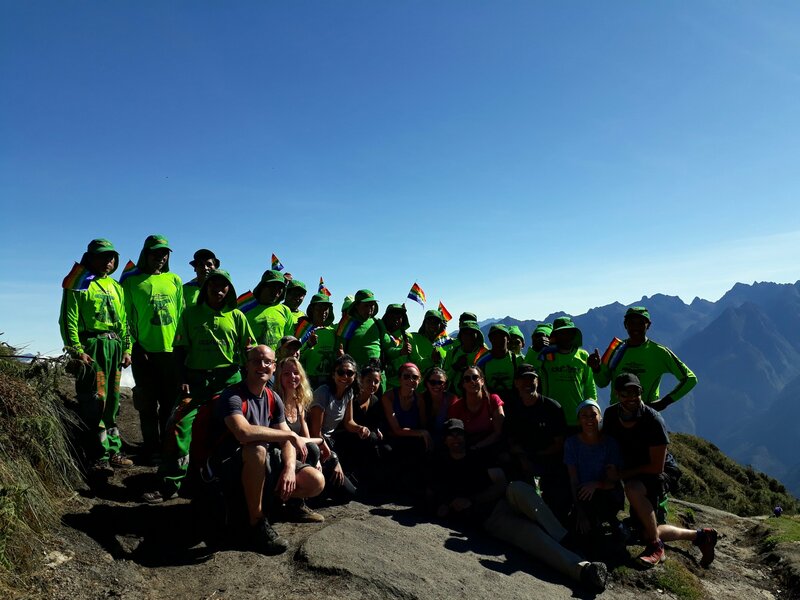 Although they are at the top end in terms of price, they had the best reviews and are one of the more experienced tour operators. The best time of year for hiking the Inca Trail is June – August which is dry season in the Andes. We booked our trip for mid June and were apprehensive about crowds as this is also the most popular time to visit. However, we found that outside of the main camps, we only encountered a handful of other hikers each day and there were long stretches where we didn’t see a single soul. If you’re looking for total isolation consider doing one of the less popular routes such as the Salkantay trek. Due to the popularity of the Inca Trail, permits sell out fast! If you’re planning to travel in peak season you’ll need to book your tour 6 months in advance. The charming colonial town of Cusco is the starting point for hiking the Inca Trail and most tour companies are based here. There’s an airport with direct flights to and from Lima, or for a more budget friendly option you can travel by bus. 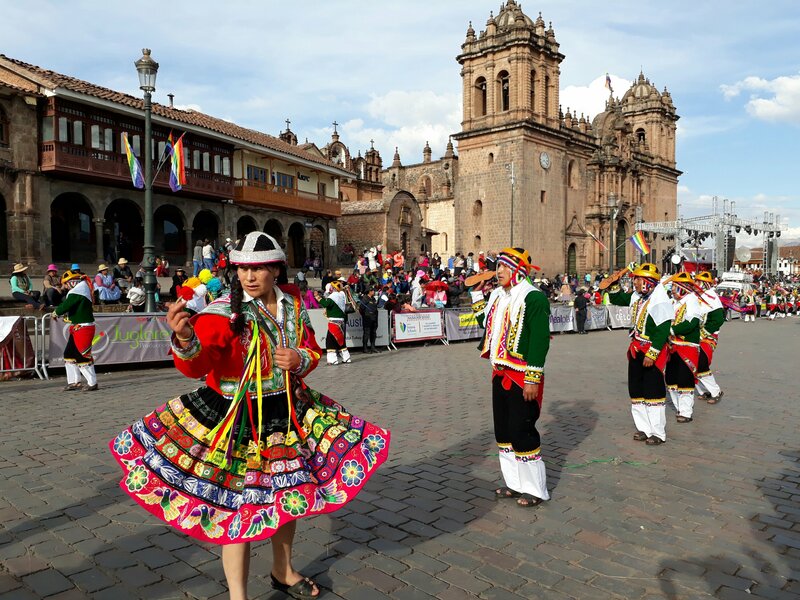 Peru has an excellent bus network with companies like Peru Hop offering a comfortable, backpacker friendly service that connects the key destinations. We used Peru Hop and sister company Bolivia Hop to travel all the way from the Uyuni salt flats to Cusco via La Paz, Lake Titicaca and Arequipa. 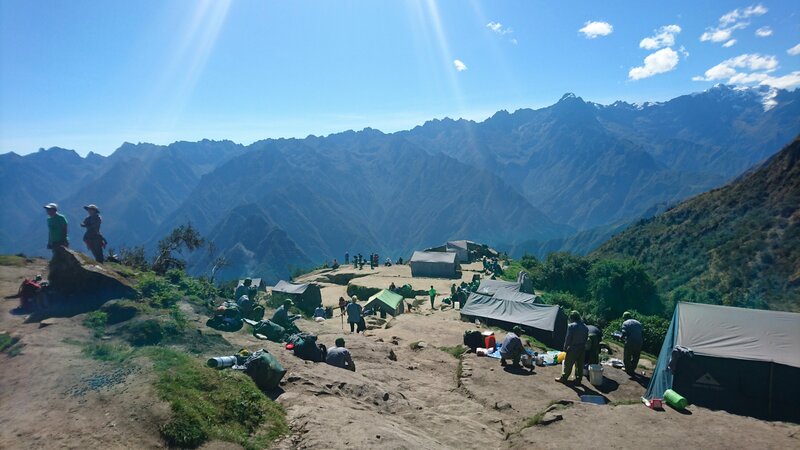 The Inca Trail is 43km stretched over 4 days so it’s not a difficult trek for someone with moderate fitness levels. Saying that, there are some tough climbs, particularly on Day 2 up to aptly named ‘Dead Woman’s Pass’ which is the highest point on the trek at 4198ft. On Day 4 you’ll also encounter hundreds of Inca steps known as the ‘Gringo Killer’! Combine this with the effects of the altitude and even the fittest walker will be gasping for breath. 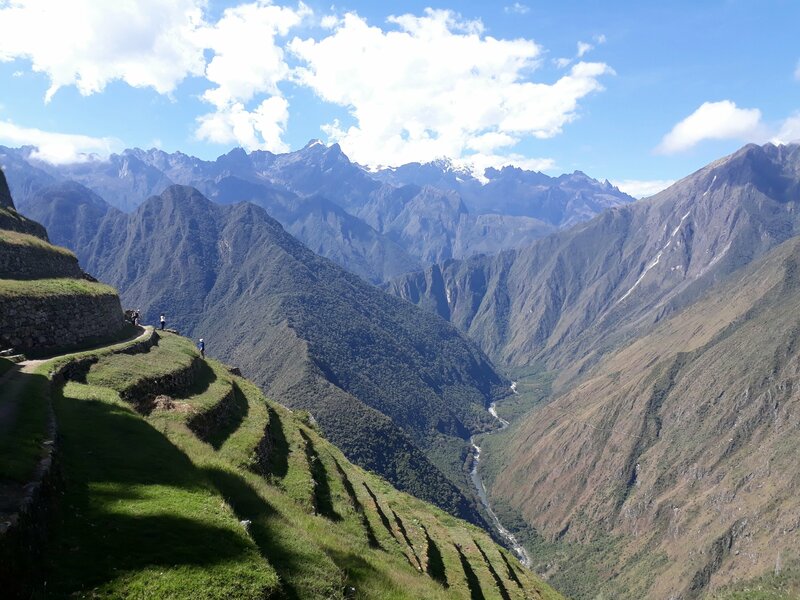 There are, however, some beautiful Inca ruins along the way to distract you and jaw-dropping views around every corner. You’ll begin your hike by walking alongside the tumbling Rio Urubamba, before ascending through vibrant green hillsides and cloud forests with the majestic Andes stretching endlessly in every direction. The last day is a 4.30am start to reach the sungate by sunrise where you’ll catch your first glimpse of the lost Inca city of Machu Picchu. From here it’s an hour walk during which the sun will rise over the mountain tops lighting up the valley and providing stunning views of Machu Picchu. Alpaca Expeditions provide good quality 2 man tents, sleeping mats, sleeping bags and a small pillow. You have to pay $20 extra for an airbed which we’d recommend as the sleeping mats are very thin. The porters race ahead to set up your tent for you each night and will pack it up again in the morning. 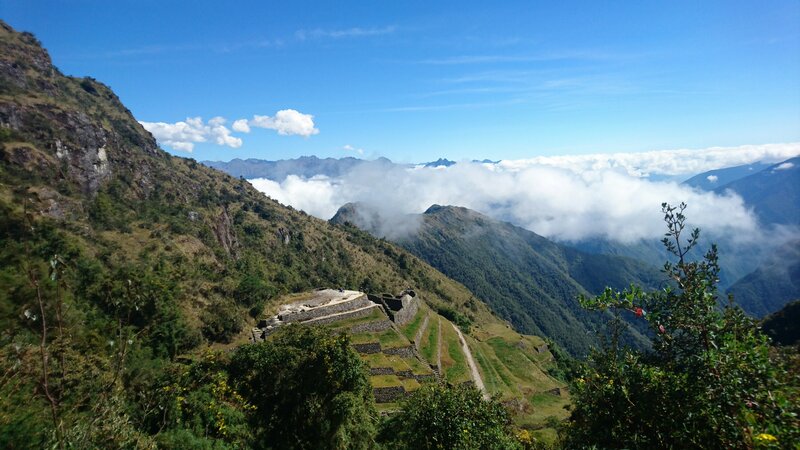 There are some beautifully located campsites along the trail, particularly on Day 2 where you’ll sleep above the clouds perched on a vibrant green hillside close to the spectacular Sayacmarca ruins. We arrived into camp just in time to see the sunset. There are no hot showers on the Inca Trail. On day 2 and 3 you’ll stay in camps which have a couple of cold showers. And when I say cold, I mean take-your-breath-away icy cold! Using the toilet on the Inca Trail is quite frankly a traumatic experience, so having your own toilet roll and baby wipes is an absolute must. Frequent stomach upsets combined with the volume of people in the camps mean the squat toilets deteriorate very quickly. The food Alpaca Expeditions served on the Inca Trail is shockingly good and you definitely won’t go hungry! Hot chocolate and popcorn is waiting in the food tent when you arrive into camp in the evening while the chef prepares your 3 course meal which includes delicious salads, pizza, stir-fries, curries, homemade soup and fruit among other culinary masterpieces. Breakfast consists of porridge, pancakes and toasted bread, while lunch is another enormous buffet of pasta salads. You’ll also be given trail snacks at the start of each day including biscuits, nuts and crackers. 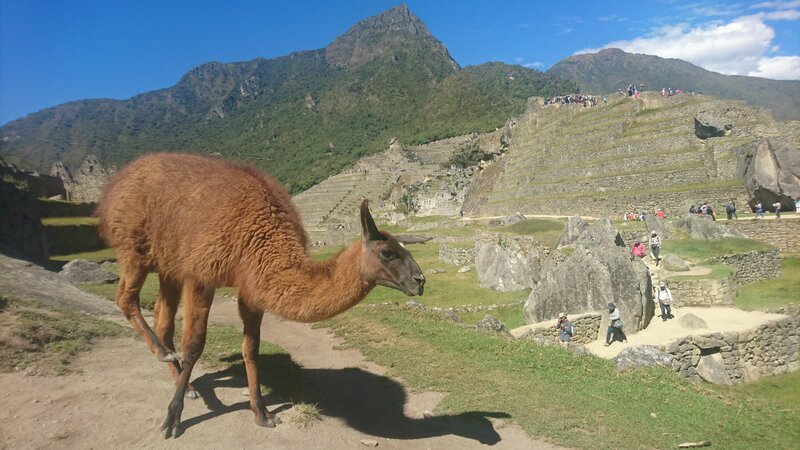 So that concludes our guide to hiking the Inca Trail with Alpaca Expeditions. There’s a great deal of hype surrounding this iconic trek but it far exceeded our expectations. No matter how many photographs you’ve seen of those cascading terraces and mountain vistas, nothing prepares you for the first time you clap your eyes on Machu Picchu, the mother of all Inca ruins, or see the sunset over a cloud forest. 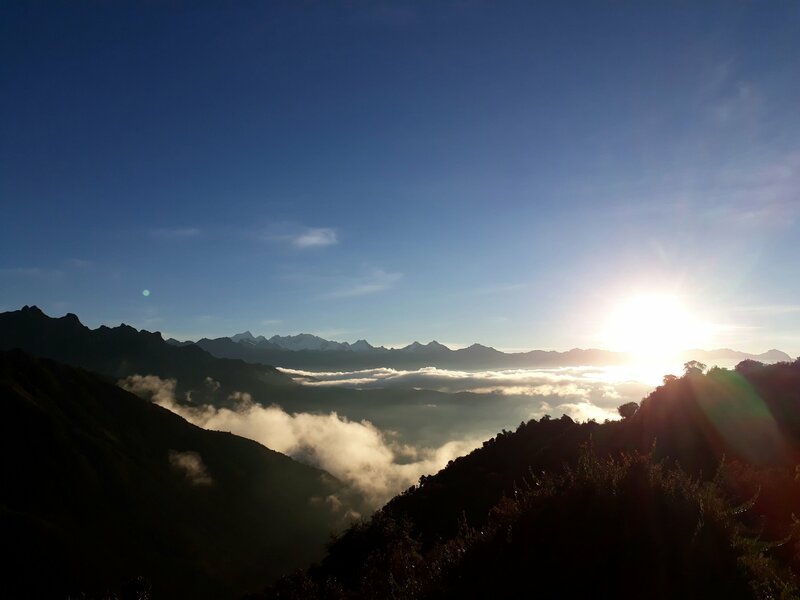 Be warned though, spending 4 days trekking through the vast, unearthly beauty of the Andes mountains will create a severe case of wanderlust and you may never want to go home ever again! 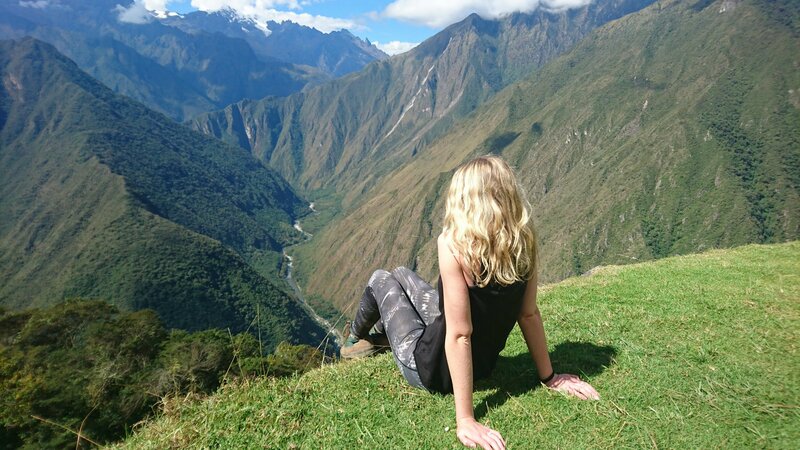 If you’ve hiked the Inca Trail or have any tips to share let us know in the comments below or drop us an email. And don’t forget to hit the follow button below for more travel tips and guides! I love the idea of offering up coca leaves to Mother Earth or Pachamama in thanks for her beauty. The only wish you could make would be to return some day. Alpaca Expeditions’ “green machine” must be superhuman. In the photos they are always smiling despite the heavy loads. Your advice on what to expect right down your packing lists for the 4 days will be useful to anyone who finds it difficult to decide what they’ll need to take! Great pics, it’s on my bucket list for sure ! !